No panels? No problem! Although not as simple as purchasing your own solar array, these days renters have lots of options to get a little sun power in their lives, even in the darkest corners of apartment complexes. If you lease your living space and want to go solar, check out one of these four approaches. Tell Them About the Federal Business Energy Investment Tax Credit: Many people who come in fresh to solar power don’t realize just how generous the incentives are. The federal government wants to motivate business owners to invest in solar power, and does so by offering a tax credit worth 30 percent of system costs. Understand Your State and Local Incentives: These vary from location to location, but where they are in place, they can be very lucrative, indeed. Most states offer net metering, a popular incentive that counts consumed energy against electricity returned to the grid, but some may have additional programs in place, as well, like Hawaii’s personal income tax credits, or Connecticut’s low-interest loan programs. Propose That Energy Fees Are Added to Leases: Your landlord isn’t running a charity, so they’ll want to make up the initial investment on panels and installation —and that means passing on that cost to residents. Landlords will need to calculate the amount of energy generated by their system and add an additional fee to leases based on those numbers. Know Your Panel Costs: You want to come to your landlord prepared, with accurate costs and quotes. To start, try running your numbers through a cost calculator—your case will be a lot stronger with accurate, precise numbers. 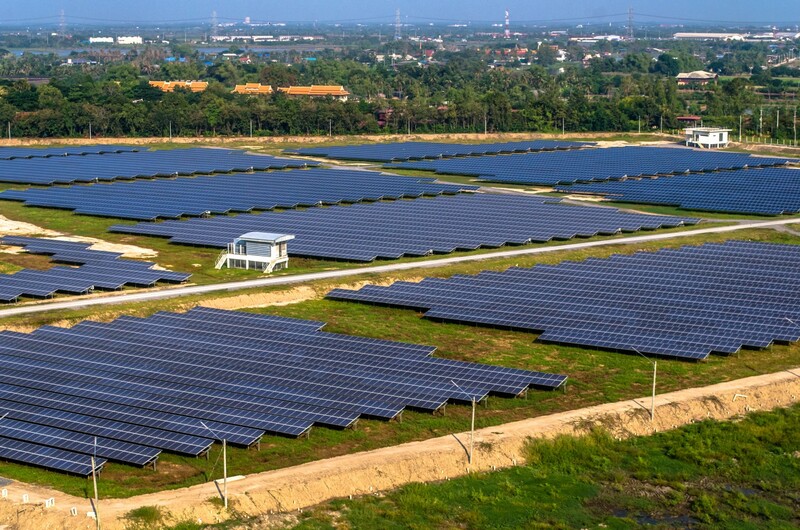 Ever heard the term solar farm and wondered what exactly that meant? Community solar farms and installations allow nearby residents to invest in solar power without installing panels on their own rooftops. That makes them a perfect option for renters, allowing them to show their support for solar power. Generally, these installations ask you to purchase or rent one or more solar panels, and the energy they produce is credited against your electricity bill. Access depends on your area; for instance, in Texas, the Alamo 4 Solar Farm generates enough energy to power 4,200 homes. Though not as powerful as rooftop arrays, portable solar panels may be a good option if you can’t get up on the roof. Most models have outlets for device plug-in, including chargers for phones and USB ports, but heavy-duty panels may even be strong enough to power energy-hungry appliances like your television or refrigerator. Of course, you’ll need access to the sun, which can be difficult in some apartments. 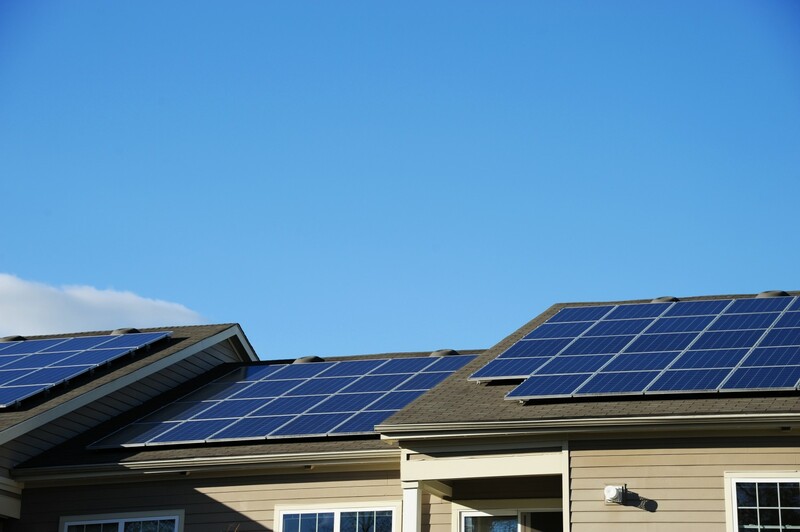 Additionally, your landlord may not like the sight of a large solar panel perched on your balcony, so make sure to discuss it with them first before purchasing. If you’re not interested in honing your negotiation skills or browsing for green power purchasing options that may or may not exist in your area, one of the simplest ways to incorporate solar power in your home is by purchasing one of several solar devices. Solar powered smartphone chargers: Smartphones don’t require a whole lot power to charge up, which makes them perfect for solar charging stations. There are plenty of different models to choose from that will run you around $20 to $60. Solar powered laptop and tablet chargers: Similarly, iPads, laptops, eReaders, and tablets can all be charged with a solar power charger. Even if you can’t completely replace your energy use with green power, you can still take some steps to integrate solar in your rental. Remember, every little bit of nonrenewable fuel we save makes a difference!